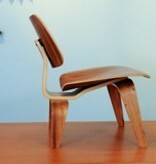 This chair is an original Millers production, made in the U.S. ( Vitra who has the rights for Europe, produces this chair only in ash and in colour). 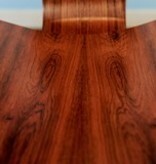 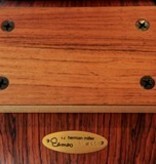 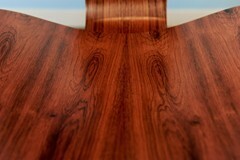 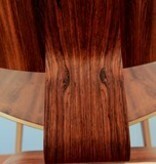 Around the year 2000, 500 pieces of this iconic design were produced by the Millers factory in rosewood. 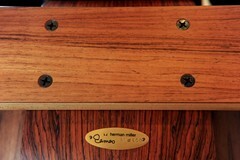 A 'Special Edition', which is therefore very rare to find in Europe. 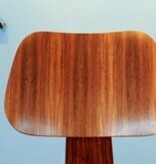 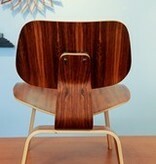 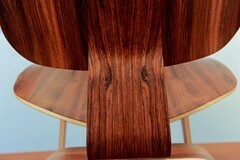 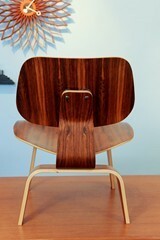 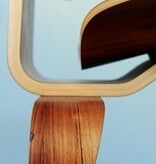 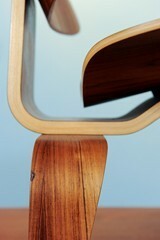 Thats also why WonderWood is very proud to offer you this wondeful iconic Eames chair. 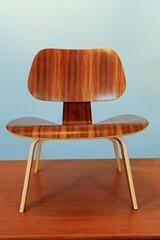 We have one piece available and comes with an official Millers certificate of provenance. Designers Charles and Ray Eames established their long and legendary relationship with Herman Miller in 1946 with the boldly original molded plywood dining and lounge chairs. 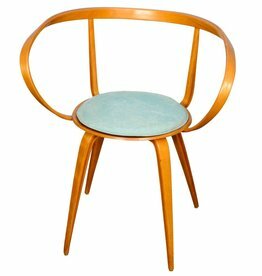 Designed to comfortably fit the body, the sculpted form of the molded plywood chairs are produced using thin sheets of lightweight veneer gently molded into curved shapes with natural rubber shock mounts to absorb movement. 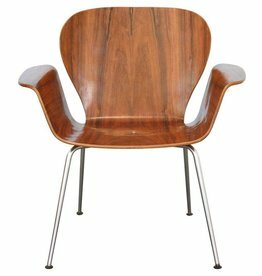 Since then, the chairs' aesthetic integrity, enduring charm, and comfort have earned it recognition as the best of modern design. 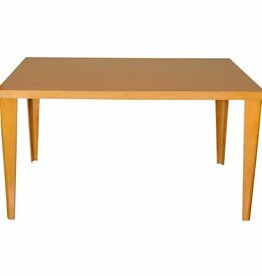 Available in either a lounge or dining versions with chrome-plated steel or wood legs. 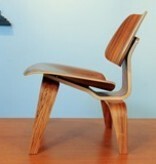 In the early 1940s, Charles and Ray Eames experimented with wood-molding techniques that would have profound effects on the design world. 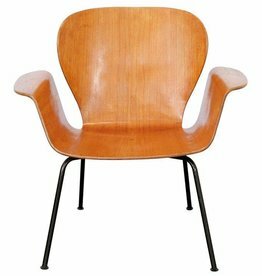 Their discoveries led to a commission from the U.S. Navy in 1942 to develop plywood splints, stretchers, and glider shells molded under heat and pressure. 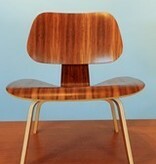 After World War II, they adapted the technology to create high-quality chairs that could be mass-produced. 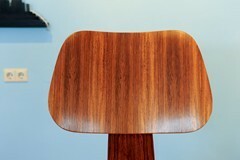 The process eliminated extraneous wood, which reduced the weight and visual profile of the chair and established a basis for modern furniture design. 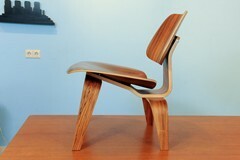 A truly comfortable chair that's suitable for businesses and homes. 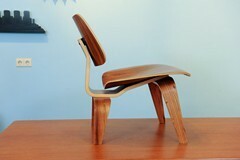 The chair is in the permanent collection of New York's Museum of Modern Art. 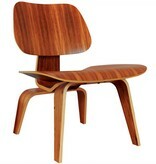 Time magazine named it the Best Design of the 20th Century.